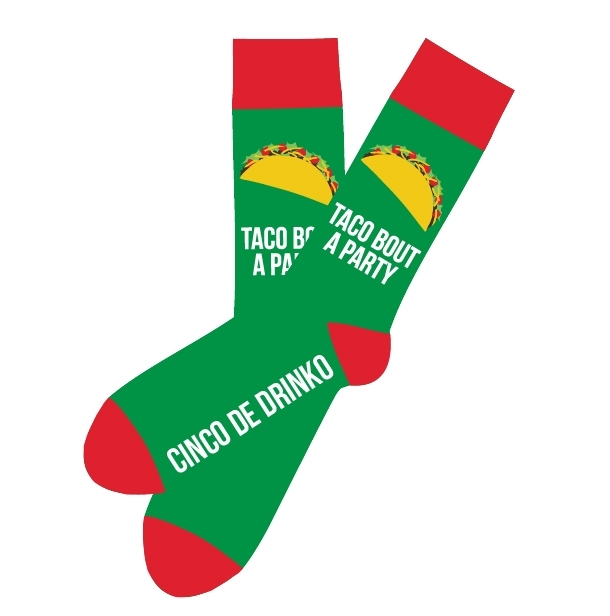 The perfect sock for Cinco De Mayo or just for a Taco Tuesday. This sock features tacos and Cindo De Drinko on the feet. Let's taco bout a sock! Our son loved the socks...AND they were delivered on time for him to wear them on Cinco de Mayo! YAY!